Are you having problems with ear wax? Who better to ask about such problems than the dedicated team at HearCare. We will soon be offering medical solutions for this problem. If you are suffering now, then please don't hesitate to contact us to fiind out what we can do for you. HearCare Gippsland is an Accredited Hearing Clinic through the Office Hearing Services, providing hearing services to Government Pensioners and Veterens. We also provide hearing services to the Private community as well. We are conveniently located at various locations within the Gippsland Region. We are an independent Hearing Clinic, hence can offer a choice of hearing solutions from a range of hearing aid manufacturers. 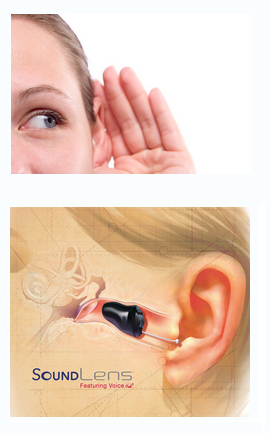 Prevalence of hearing loss: One in six Australians is affected by hearing loss. Prevalence rates for hearing loss are associated with increasing age, rising from less than 1% for people aged younger than 15 years to three in every four people aged over 70 years. With an ageing population, hearing loss is projected to increase to 1 in every 4 Australians by 2050. The net consequence of hearing loss is a reduced capacity to communicate. The ability to listen and respond to speaking is reduced and for some, the ability to speak is lost or impaired. Reduced communication abilities impact on a person’s life chances through the reduced opportunity to equitably participate in education, to gain competitive skills and employment and to participate in relationships. Adverse health effects are associated with hearing loss. HearCare provide hearing assessments, Free Hearing Aid Trials of the latest hearing device technology, Assistive Listening Devices, Noise Attentuation Plugs and Musician Ear Plugs. HearCare SleepCare Clinic, Stop Snoring, Live Well and Sleep Well, HearCare Sleep Clinic undertake Home Based Sleep Studies, CPAP trials and evaluations, advice and service for CPAP therapy equipment. HearCare are happy to provide free product information on all our quality products and services. Have you got your information yet?